The prevailing models for measuring brand effectiveness are largely based on examining past and present performance indicators, and can fall short of telling brand managers anything about their brand’s future potential. What was a strong brand yesterday, may still be strong today – but what does tomorrow look like? Will your brand still be as relevant? 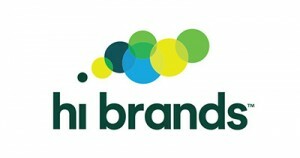 Harris Interactive has developed a new brand health management framework, hi brands®, which uniquely offers brand managers the more forward-looking measure of brand sustainability. hi brands® was a finalist in the MRS Awards 2016 for Best Innovation. Sustaining a healthy brand is critical for driving higher levels of consideration, recommendation and trust. hi brands® combines measures of your brand’s equity, with your brand’s future relevance and vitality to provide a strong indication of brand sustainability. 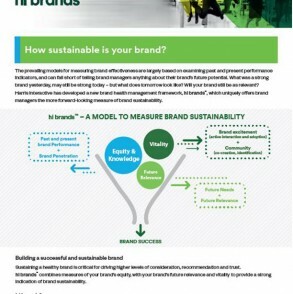 How sustainable is your brand? improve the health of your brand and increase the likelihood of consideration and purchase – now and into the future. talk to us to explore if the framework can be incorporated into your existing brand tracking programme. watch a webinar recording that presents an overview of the latest wave of research. The hi brands study measures brand sustainability across penetration, equity, future relevance and vitality for a wide variety of popular brands. These are the UK's top 5 sustainable Tea brands. The hi brands study measures brand sustainability across penetration, equity, future relevance and vitality for a wide variety of popular brands. These are the UK's top 5 sustainable Banking brands. The hi brands study measures brand sustainability across penetration, equity, future relevance and vitality for a wide variety of popular brands. These are the UK's top 3 sustainable Console brands. The hi brands study measures brand sustainability across penetration, equity, future relevance and vitality for a wide variety of popular brands. These are the UK's top 5 sustainable Credit Card brands. The hi brands study measures brand sustainability across penetration, equity, future relevance and vitality for a wide variety of popular brands. These are the UK's top 5 sustainable Crisps and Snack brands. The hi brands study measures brand sustainability across penetration, equity, future relevance and vitality for a wide variety of popular brands. These are the UK's top 5 sustainable Energy Supplier brands. The hi brands study measures brand sustainability across penetration, equity, future relevance and vitality for a wide variety of popular brands. These are the UK's top 5 sustainable Gambling brands. The hi brands study measures brand sustainability across penetration, equity, future relevance and vitality for a wide variety of popular brands. These are the UK's top 5 sustainable Mobile Operator brands. The hi brands study measures brand sustainability across penetration, equity, future relevance and vitality for a wide variety of popular brands. These are the UK's top 5 sustainable Mobile Phone brands. The hi brands study measures brand sustainability across penetration, equity, future relevance and vitality for a wide variety of popular brands. These are the UK's top 5 sustainable Price Comparison Website brands. The hi brands study measures brand sustainability across penetration, equity, future relevance and vitality for a wide variety of popular brands. These are the UK's top 5 sustainable TV Channel brands. The hi brands study measures brand sustainability across penetration, equity, future relevance and vitality for a wide variety of popular brands. These are the UK's top 5 sustainable Wearable brands. Harris Interactive has developed a brand health management framework, hi brands™, which uniquely offers a forward-looking measure of brand sustainability.